New York State Comptroller Tom DiNapoli wrote to Teamsters Local 812 this month that his office is monitoring the situation at Clare Rose, including an ongoing audit of the company’s compliance with subsidy requirements, and will determine what steps he can take. The comptroller is the state watchdog of the Brookhaven Industrial Development Agency, which has awarded millions in subsidies to Clare Rose. Clare Rose workers, members of Teamsters Local 812, have been on strike since April 23rd, after Clare Rose unilaterally cut drivers’ pay by 30% and ended the workers’ pension. 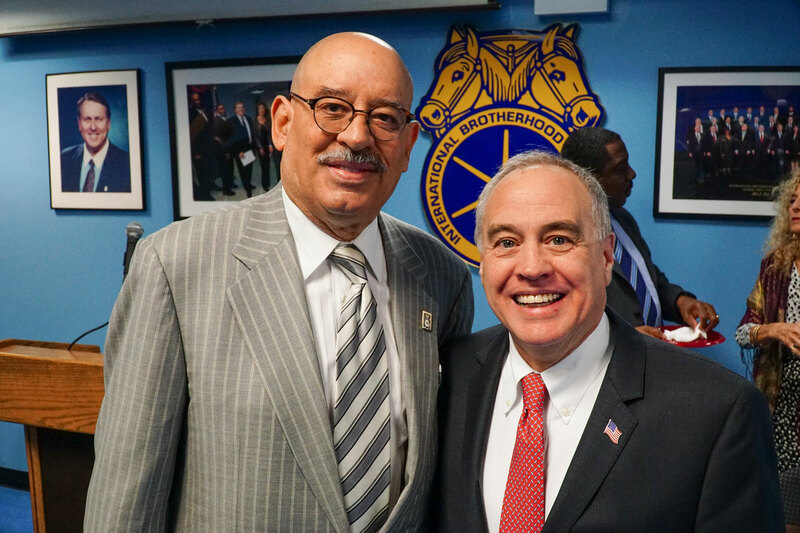 As New York State Comptroller, DiNapoli has been a champion of IDA oversight and accountability. In 2009, Clare Rose entered a subsidies agreement with the Brookhaven IDA for the construction of a new facility for the beer distributor, which will reduce the company’s taxes through 2030. In 2016 alone, Clare Rose’s property taxes were reduced 86%, from $567,040 to $82,207. In exchange, Clare Rose was required to maintain at least 177 jobs at the facility, a requirement that the company broke when it decided to permanently replace its union workers. If Clare Rose fails to meet those job retention requirements “at any time,” the Brookhaven IDA may declare all unpaid rent and other payments immediately due and payable; terminate the company’s lease; revise and increase the company’s annual payments; and recapture a portion of the forgone taxes previously given to Clare Rose. The Brookhaven IDA has also opened an audit of Clare Rose. Clare Rose’s decision to fire its union workforce likely puts the company in violation and the IDA can revoke future subsidies and even demand repayment of past subsidies. Romaine also said some previously awarded subsidies could be recovered. Across Long Island, beer taps and shelf space are shifting over from Anheuser-Busch products to competing brands, as the boycott and strike have their effect. Over three dozen local bars, stores, and restaurants in boycotting Clare Rose, including Belmont Park and Anthony’s Coal Fired Pizza. Many bars, either in support of strikers or simply fed up with poor service from scab replacements, have switched over to Miller, Coors, or other beer brands.